Tanushree is a communicator, writer and musician. She works at the intersection between global development, technology and sustainability, and is interested in how technology can interact with global issues such as human rights, refugees, clean energy, sustainable development and poverty alleviation. 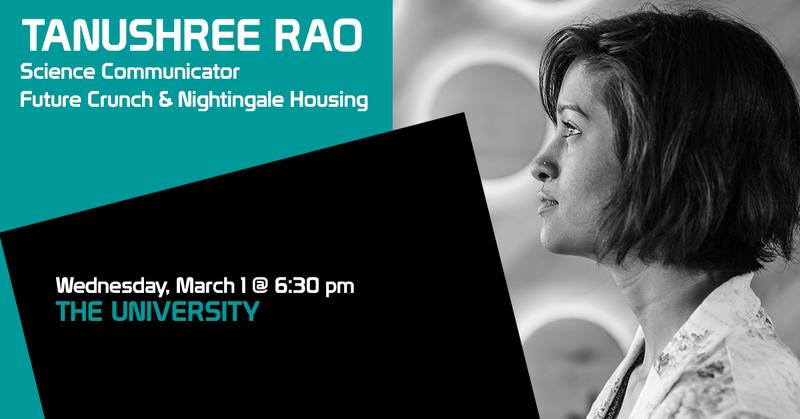 Having worked across communication, programs and research in the environmental, finance and international development sectors, Tanushree currently consults with Future Crunch—a think tank sharing the positive impact of technology—and Nightingale Housing, a social enterprise that supports sustainable urban housing. She also writes about food security, technology and innovation, and is keen to see more projects make the world a more sustainable, equitable place. Tanushree holds an Honours degree in International Relations and degrees in Peace & Conflict Studies and Journalism from the University of Queensland.